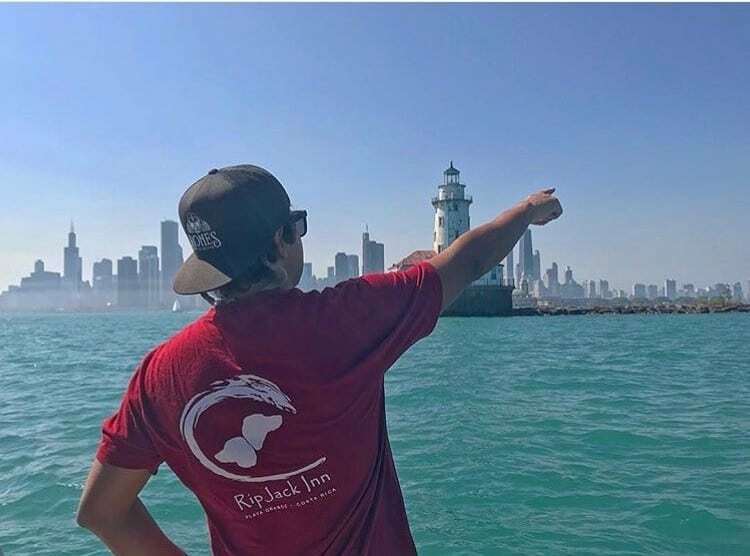 We recently launched a campaign that asked our beloved guests and friends to share a photograph of themselves in a RipJack Inn T-shirt or tank top from where ever in the world they are from or are currently exploring. The response has been truly inspiring. What it has reminded us is that the RipJack family is quite eclectic and extensive. We are a far-reaching family with the RipJack Inn being the thread that connects us all. Our hotel, restaurant, bar, and yoga studio has been and is frequently filled with individuals from all walks of life and parts of the planet. We think that is amazing that our small hotel and our small town continues to bring such a diverse collection of people together. And that pushing aside our unique differences, we are all drawn to Playa Grande for similar reasons. As we take the month of October off to rejuvenate and reflect, we want to thank each and every one of our wonderful guests who have joined the RipJack Inn family and have continued to make this little utopia possible. As we gear up for the season, we are elated to continue to grow our family and reconnect with old friends who will be returning this upcoming year. Home is where your family is and our family will always have a home here!